Milkshakes are one of the most comforting things around. With a burger, the cure to a sore throat, after a rough dentist appointment, you just need one. Sometimes I crave them and just don't feel like getting in the car and going to my closest drive-thru to grab one. 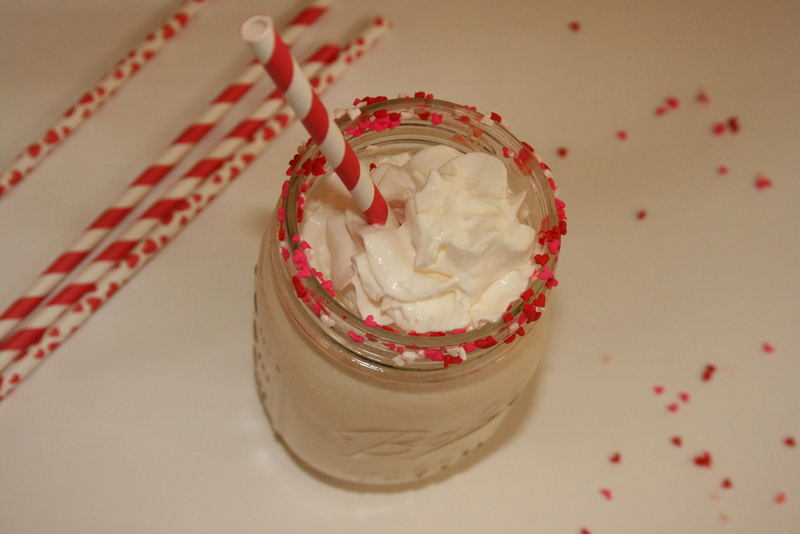 I had some Valentine's Day sprinkles on hand, some vanilla ice cream in the freezer and came up with the most adorable and easy vanilla shake! I believe milkshakes are one of those things that really have a lot to do with preference. 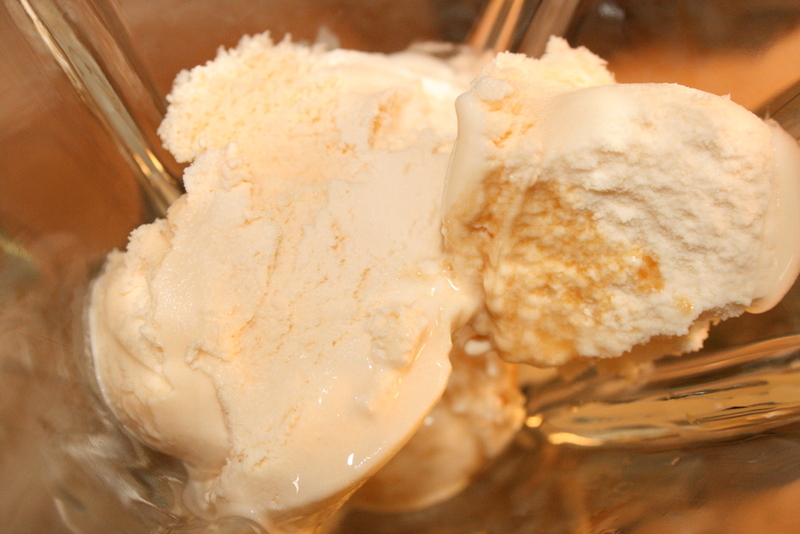 Some of us like really thick milkshakes, but some of us like them on the thinner side. 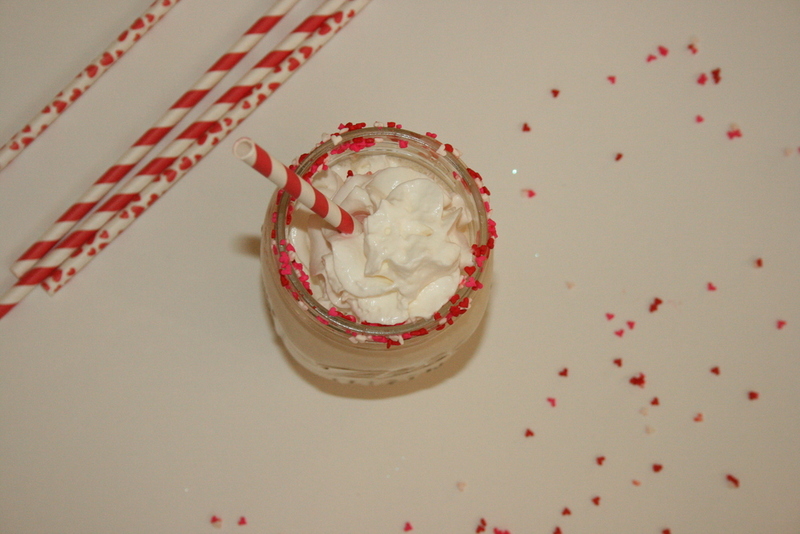 Gather your ingredients and make the milkshake perfect according to your own preference! 1. Dip mason jar rim in water. 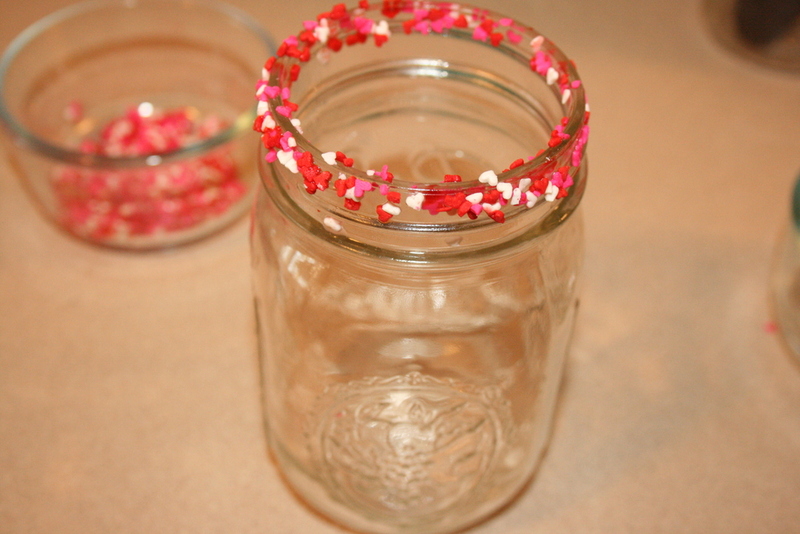 Dip mason jar in sprinkles and turn until rim is covered. 2. Have enough ingredients for preference of thickness and amount of milkshakes needed. 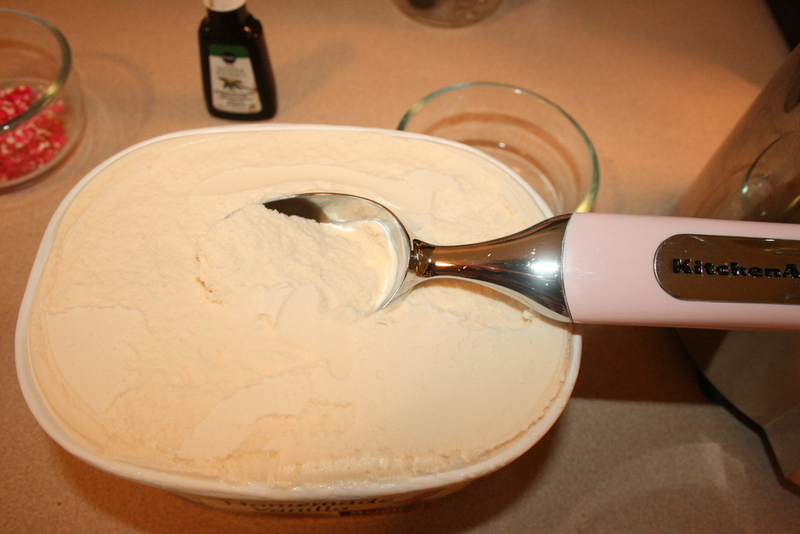 Put all ingredients in blended and milk until smooth.